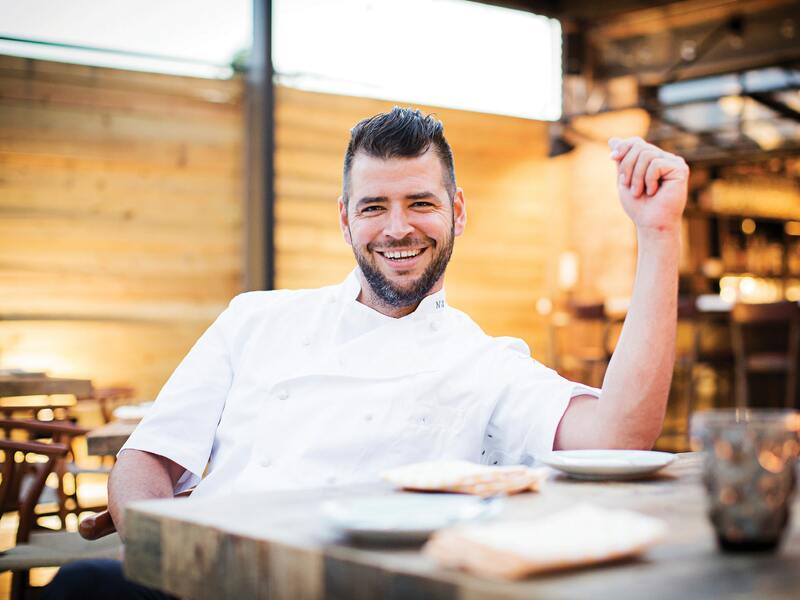 After hitting all the right notes with award-winning Masseria, Nicholas Stefanelli is expanding his reach to the Wharf with the ambitious three-story Italian foodie emporium Officina. Each floor of the recently opened Officina (1120 Maine Ave. SW) by Nicholas Stefanelli offers something unique: homemade pastas, Roman-style pizzas and artisan Italian street foods on the ground level; the trattoria, a full-scale restaurant focused on Southern Italian cuisine on the second floor; and the third-floor terraza, which pairs alfresco dining with sweeping Potomac views. Stefanelli gives us the dish. NICHOLAS STEFANELLI: Officina translates to ‘workshop’ in Italian, which felt like the perfect word to sum up all that we’re undertaking in the space. Something is constantly being created, perfected and produced—from the butcher shop to the marketplace and bakery. I also took some inspiration from Officine Panerai, a favorite watch company of mine. Michelin-starred Masseria has been such a success. What led you to expand your presence? NS: We wanted to provide opportunities for the immensely talented people that have been with us, speaking to their talents and allowing them to move into new and challenging positions. It has also given us the opportunity to create a place that you could eat at every day, for any occasion. Officina will have something for everyone, which is incredibly exciting for me. Why did you choose The Wharf? NS: A project with the scope of the Wharf doesn’t happen every day, and we immediately realized how unique it was to the city. In many ways it came together serendipitously, and we’re excited to be among such an amazing collection of operators. NS: It’s such a large concept. The idea was actually in my head before Masseria even came into existence, for the past five and a half years or so. The Salotto specializes in amari and small-batch digestifs. Why? NS: The Amaro Library really stems from a personal hobby turned obsession. I think amari, and vintage amari in particular, tell a really interesting story of Italian gastronomy. I’m excited to share and educate guests on that. What are you most looking forward to about Officina? NS: It’s hard to pin down just one—from drinking a coffee while reading a paper to sitting on the rooftop smoking a cigar and drinking Champagne, I can’t wait to see how the space matures and takes shape after the doors open.